There is a move to help small scale dairy cooperatives across Uganda with new technology and some working capital to lift their business profile. However the financial specifics have not been revealed. 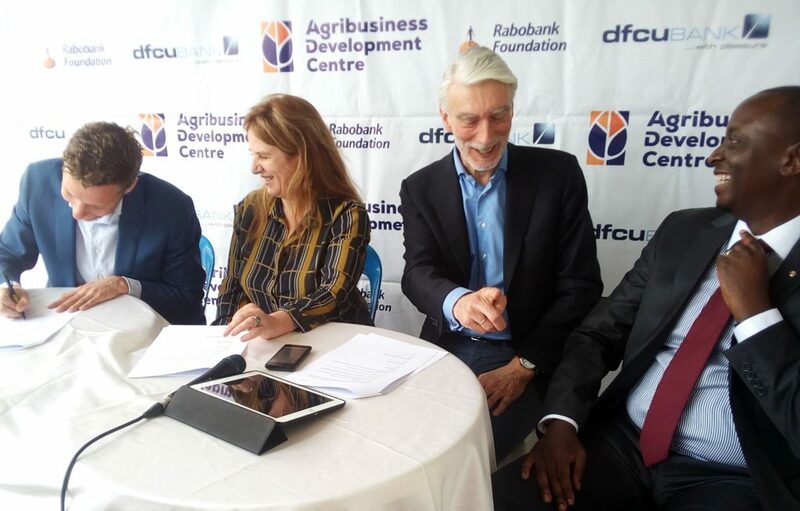 The Agribusiness Development Centre (ADC), Laboremus Uganda, a customized software developer and Rabobank Foundation together dfcu Bank, have joined forces to help build efficiencies in dairy farming and provide affordable capital. “Through smart use of both technology and field training, we believe our partnership will build a foundation on which farmers and cooperatives can grow stronger, more efficient and prosperous,” Bram Willem van den Bosch, Managing Director of Laboremus Uganda said when touting the Emata Solution on Monday. The project will start in central Uganda with three pilot dairy cooperatives, before being rolled out to different parts of the country with a target of reaching over 400 dairy cooperatives. The ADC is joint initiative started by the Rabobank Foundation and dfcu Bank nearly four years ago to push farming activity into bankable enterprises. Agriculture in Uganda remains largely subsistence and ADC offers programs that train farmer-based organisations and SMEs in better agribusiness. ADC executive director, Anja De Feijter said the latest program will be implemented through dairy cooperatives through which farmers can be contacted, trained in financial literacy and connected to financial institutions that can help them with affordable agricultural loans. “Through Emata, ADC cooperatives will gather information about the productivity of their farmers, as well as understand which farmers are performing well and which require more training,” she said during the official signing. Van den Bosch said Emata was developed to help cooperatives manage its members, increase transparency and also limit risky bulk cash transactions shifting to one click digital payments. “On top of that, Emata provides greatly needed insights into the daily dairy operations. This helps farmers and cooperatives make better and informed decisions,” he said. Pim Mol, the Managing Director of the Rabobank Foundation said the advantage for cooperatives and farmers is Emata provides lending institutions with credible information pertaining to credit worthiness and loan capacity. This reduces the risks involved with loan recovery. The Rabobank Foundation is one of the main pillars of the Rabobank Group’s cooperative and sustainability policy.